Music Biz 2018 is set to feature keynotes from industry veteran Lyor Cohen, Republic’s Wendy Goldstein, and Scooter Braun; 100+ programs; 2,000+ execs and industry enthusiasts; unparalleled networking opportunities; and so much more! The 1st World Conference on Physical Media will be held in Eindhoven, Netherlands, from 4 – 5 June 2018. This conference will focus on the world of physical media, and in a large part because of the astounding resurgence of the vinyl format. Many other formats, long thought defunct, are also following the trend set by vinyl to satisfy the tactile requirement of the buyer. We are fortunate at having long-term members of the MEDIA-TECH Association that have been involved in the production and manufacture of physical media for the last 50 years as such we can offer a large pool of resource and experience to current companies and individuals wanting to grow or become involved in the current exciting market trends including mastering, production and manufacturing to raw material and machinery suppliers. The conference is being hosted by the MEDIA-TECH in partnership with the Green Vinyl Project, the MEDIA-TECH Vinyl Working Group, the Pure Audio Group, and Colonial Purchasing Europe. This is an excellent opportunity to become inspired and educated by physical media content experts and to network with colleagues and peers from around the world. It’s time to celebrate business in physical media again…! After 40 years of the CD, the resurgence of vinyl, the rebirth of the cassette, but also to new revenue streams in Blu-ray. Making Vinyl’ 2017 welcomed 300 professionals engaged in some aspect of vinyl record manufacturing and from all over the world, to the debut event conceived to celebrate the industry’s global rebirth. “This year will be bigger and better with industry leaders returning to Detroit for what is expected to be a much more colorful program introducing everything the industry has learned over the last year with two days of power-packed programming and networking”. Mark your calendars for October 1-2 and join us again in Detroit. Registration will open in late-May. Presented by: Colonial Purchasing Co-op LLC; Record Store Day; and hometown sponsor Third Man Pressing. 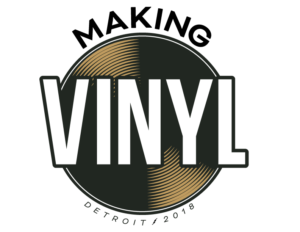 Making Vinyl is back again in Detroit! ‘Making Vinyl’ 2017 welcomed 300 professionals engaged in some aspect of vinyl record manufacturing and from all over the world, to the debut event conceived to celebrate the industry’s global rebirth. Registration will open in late-March. After two successful events in the U.S., Making Vinyl comes to Berlin on May 2 & 3 at the Meisteraal where David Bowie, Iggy Pop, Depeche Mode, Nick Cave, U2, R.E.M., and countless other major artists recorded LPs in the building at Hansa Studios. 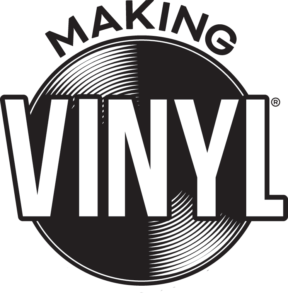 Making Vinyl Europe will feature top executives from the world’s top pressing plants, as well as newcomers in the market, and other professionals throughout the vinyl value chain, including mastering, plating, packaging, raw materials suppliers and machinery vendors. MEDIA-TECH kicks off the event on May 2 with the “Physical Media World,” a half-day conference focused on CD’s, Cassettes, and other music distribution formats.